The flipper knife first came on to the market in the mid 90s. Since then, the design has stood the test of time. 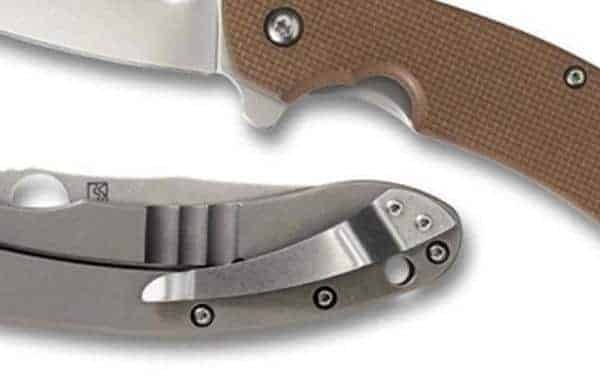 Thumb studs and thumb holes, may have come before, however, when it comes to opening an EDC knife with one hand, the flipper is the most reliable method yet. 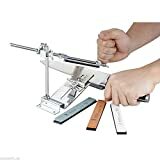 So what is the best flipper knife you can buy in 2018? (Because even if you have taken just a passing interest in what’s available, you will know that the choice is wide). To help you in your search, we have brought together our top 5 flipper knife review list. 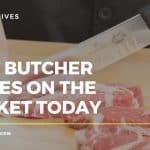 Based on in house testing, user reviews and general industry reception, in our opinion these are currently the best flipper knives available today, crossing a range of budgets to suit your wallet. To get straight to it, you can check our definitive line up in the table below. For an in depth review of each knife, keep on reading. Plain Edge Knife BLADE: 3.46"
Black Folding Knife BLADE: 3.75"
So we here we have another collaboration in our top 5 best flipper knife countdown. This time the world famous Spyderco have teamed up with acclaimed custom knife maker, Brad Southard. The result? Well the Spyderco Southard Flipper of course. Spyderco have been in the game a long time, yet Brad is a relative new comer, only starting to make custom knives full time since 2009. His speedy rise to notoriety is an indication of the craftsmanship he places in each and every one of his offerings however. Spyderco have also gone against the grain with the Spyderco Southard. This knife is the first of their product line to feature the “flipper” system as created by Kit Carson. So new territory for the well-known knife manufacturer. Let’s take a closer look at the vitals to see how the guys did. The Spyderco Southard Flipper comes in at 7.96 inches long, with a blade length of 3.46. This knife is significantly weightier than the Hinderer with a total heft of 4.1 ounces. When you pick this up, you are instantly made aware of the thick slab of steel, titanium, and G10 that goes into its construction. Its a reassuring feeling. When buying a flipper knife, the smoothness of the blade deployment should be a major priority in your purchasing decision. As you will see from our review of the Hinderer, we actually ran out of superlatives when describing the fluidity of that knife. 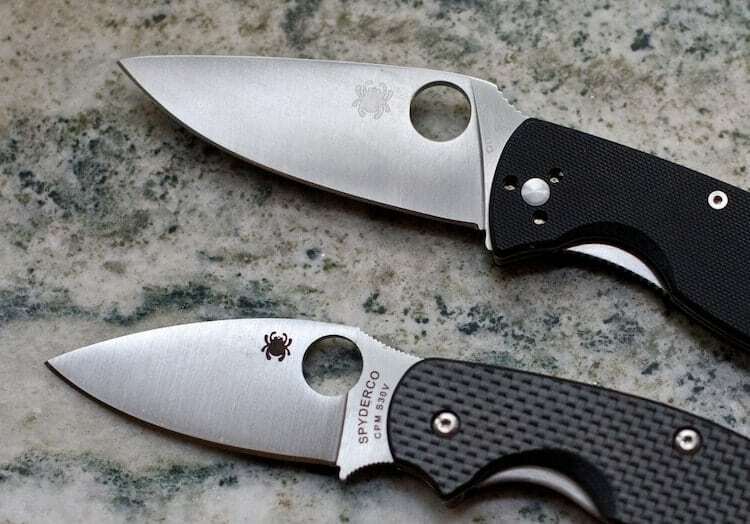 So how does the Spyderco Southard compare? To be honest, exceptionally well. The blade itself opens very smoothly indeed, rotating around an over-sized pivot and caged bearing system. However, we did find that you do need a firm grip on the flipper to initiate the detent for the blade to open. This does mean that some users may fumble when operating the deployment mechanism. As you may already know, (or will find out if you read our history of the flipper knife further on), Spyderco are famous for their “trademarked” thumb hole system, which despite the fact they have opted for the Kit Carson flipper on this knife, still makes an appearance here. However, this seems more like a move to appeal to fans of the brand rather than for any practical reasons, as it is close to impossible to use with your left hand, and a challenge to actuate with your right. Superfluous? Or are we just missing something here (answers in the comments section if you can). The lockup is exceptional on the Spyderco Southard Flipper. The lock engages very easily, with no stick or play whatsoever. In fact the entire knife feels the same way, robust and reliable. A nice feature is the small G10 lock bar stabilizer. This is inset into the framelock (and from an aesthetic standpoint, matches the G10 scale on the opposing side.) This does an excellent job of ensuring the lock bar does not over-extend. The handle on the Spyderco Southard Flipper is one strong beast. Top-notch materials have been used here. On the locking side of the handle they have used a full titanium frame lock with a G10 overtravel prevention mechanism. A robust and beautiful design in equal measures. This attention to detail is also evident on the non-locking side where a brown G10 scale has been used over a thick titanium liner. Everything is pieced together in a manner that could survive the apocalypse. 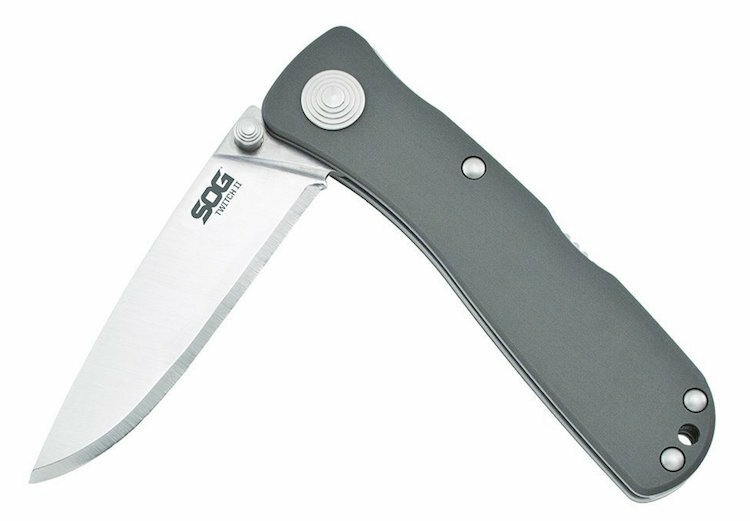 As we have already stated, the Southard Flipper is a strong, weighty knife however these dimensions are not a bad thing by any means. When held in the hand (even without being deployed) the knife feels like it means. That heft is reassuring in terms of both build quality and potential performance. Most importantly of all, it is very comfortable to use. The handle feels great in the hand and overall ergonomics have been thoroughly considered. If there is one feature that lets the Spyderco Southard Flipper down in any way, it would have to be the pocket clip. Like the Hinderer, this is a knife with dimensions that require the use of the clip for most people. From a stylistic perspective the clip is great and compliment the overall look of the knife very well. However, the problem is the clip doesn’t carry as well as it should. A knife of this size and weight requires a deeper carry clip, and in this regard the Southard falls short. Hardly a deal breaker, it is a point worth making nonetheless. Overall, Spyderco have done an exceptional job in collaboration with Brad Southard. Hence it taking the number 1 spot in our best flipper knife top 5. The Southard Flipper is excellently made, performs very well and feels great in the hand. Fans of the knife or Southard’s work, will love this. Highly recommended. Let’s dive right to the point on this one. The Zero Tolerance ZT0560, features one of the best opening systems in the world and it was actually our number one pick in 2017. Add that to the exceptional build quality and razor sharp blade and you have all the hallmarks of a premium knife. The core of the knife is the precision engineered flipper mechanism. Utilising a system that rides on miniature ball bearings to keep the pivot smooth and tight, once you apply that pressure to overcome its detent, the blade unleashes with a fluidity that blows the competition out of the water. In fact, once you get a chance to hold the Zero Tolerance, we guarantee you will spend a long time just opening and closing it again, simply admiring the craftsmanship. It is easy to understand why this knife is so superbly put together however. Rick Hinderer is a name that is constantly associated with top quality custom and semi-production folding tactical knives. The going rate for much of his output is normally $600 or higher. Hinderer knives do not come cheap. However, thankfully Hinderer’s collaboration with Zero Tolerance is a fraction of that in terms of cost. In short, the ZT0560 is a chance to own a Hinderer design without paying the Hinderer price point. 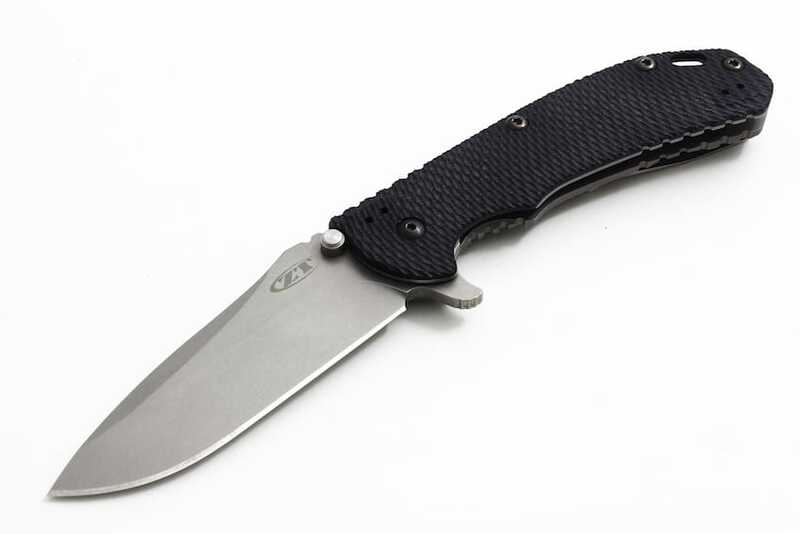 The dimensions of the ZT0560 come in with an overall length of 8.8 inches. The blade measures in at 3.75 inches. In general terms this can be seen as a large EDC knife, and for some maybe not the most practical size. However, the overall weight of 5.8 ounces is very impressive. Light weight and well-balanced, the ZT may not fit too well in your jeans pocket, but it will not weigh you down in the process. It is far from a cumbersome knife. The blade is a modified drop point design, featuring high flat grinds, neatly applied edges and a some what pleasing stone washed finish. It is great that the guys have gone for such a highly functional blade shape. The tip is extremely sturdy and will take a lot of stress, while the belly of the knife is more than suitable for general utility work. As you would expect form manufacturing of this standard the blade was razor sharp out of the box. 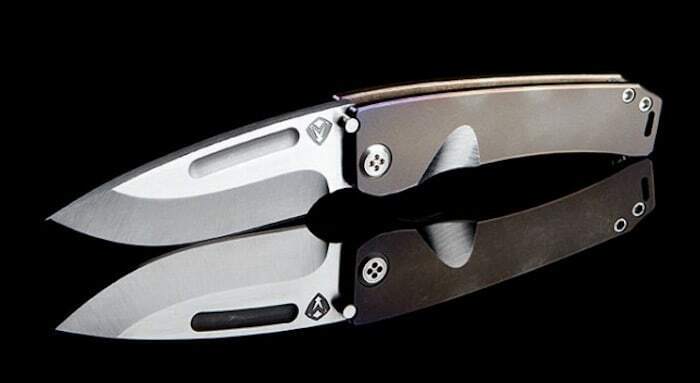 The blade material is an interesting choice, with ZT and Hinderer opting to use ELMAX, a high-end powdered steel made by the Austrian manufacturer Bohler-Uddeholm. “ELMAX is a high Chromium formulation that is extremely wear and corrosion resistant, while also being quite tough. A natural choice for high-end knife application too I am sure you would agree. 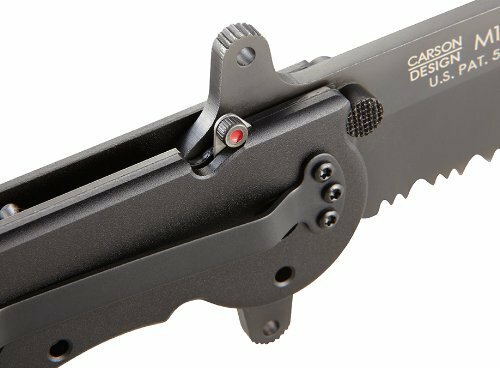 As we have already stated in the introduction to this flipper knife review, the 0560 has one of the best knife blade deployment systems in the world today. 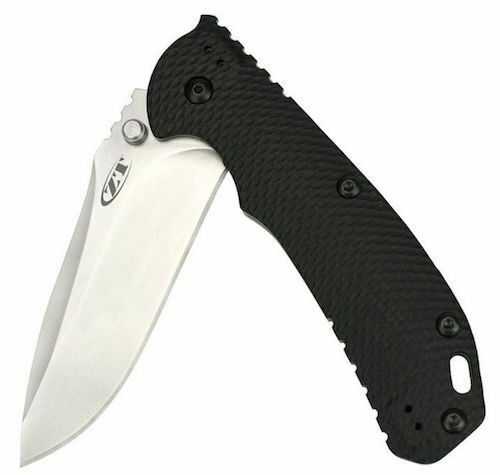 The design is known as Kershaw Velocity Technology (KVT). An ingenious innovation that succeeds in reducing friction, the knife incorporates a patented bearing housing system. For ease of maintenance and to prevent lost bearings, they are pressed into a nylon race that keeps them all aligned and in place. The result is that wonderful fluid deployment that we have already waxed lyrical about. The design is also very versatile as it gives the user the option of a flipper or ambidextrous thumb studs. Whatever your preferred method of revealing your blade, you will be treated to an ultra smooth action that never fails to put a smile on the face. 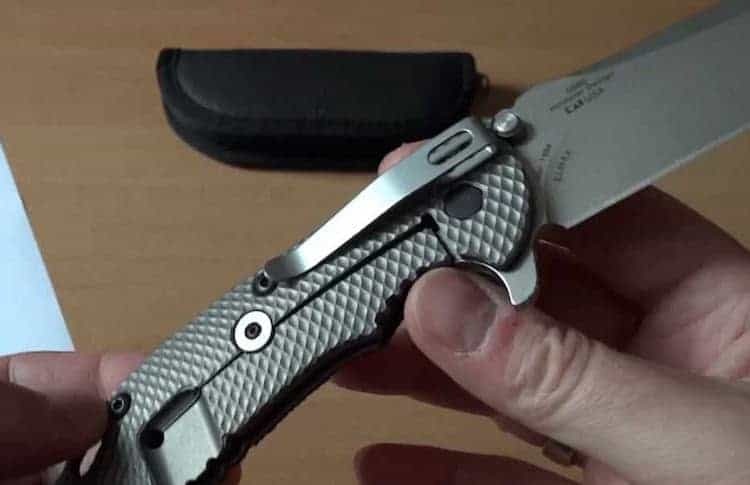 While it is clear that Hinderer and ZT have put a huge amount of effort in getting the blade deployment right, did they overlook the quality of the lockup as a result? I am happy to say, not at all. 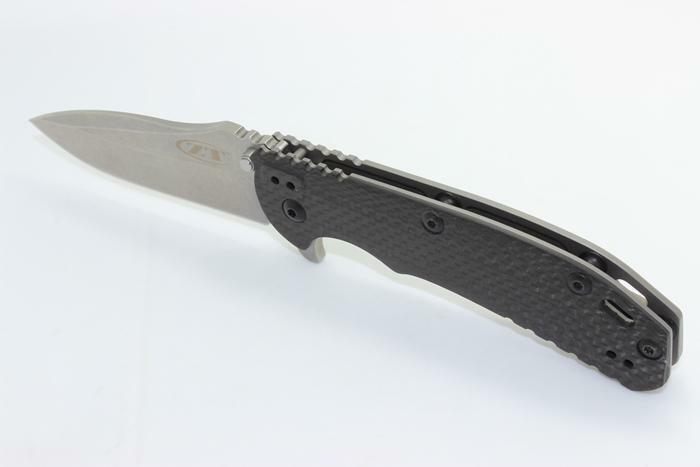 The ZT 0560 features a high quality titanium framelock. The superior construction only cements the fact that Zero Tolerance know how to make a locking system that works. In countless tests, and after extensive use, you will find no apparent blade play when you lock the ZT in place. Furthermore, you will not come across any stickiness when disengaging the lock bar. Everything works smoothly and reliably, which is exactly what you need from your tactical flipper knife when out in the field. Handle construction is one of the most important features in a quality EDC knife, and can very often be overlooked even on the most expensive products. It is also of course, somewhat subjective; what may feel very comfortable to me, may feel awkward and cumbersome to you. On that level, a broad cross section of review opinion has to be taken into account. With that in mind, I am pleased to report that Hinderer and ZT have managed to maintain the high appraisal level in relation to this knife. 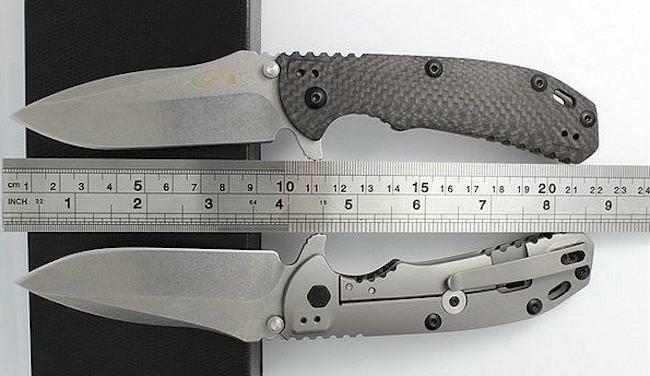 The designers have opted for a black G10 scale over a stainless steel liner on one side, (the aforementioned titanium framelock is situated on the other.) Each detail throughout the handle has been precision cut. The stainless steel liner has a large part to play in the overall weight of the knife. The steel has been milled out where not required providing a very impressive per ounce efficiency. Despite the lightweight, the ZT0560 feels very secure in the hand, sitting exceptionally well in both a small and large grip. Traction is also top notch, with some highly aggressive ribbing in the handle layering. Some users have complained that this makes the knife slightly uncomfortable to grip, however considering the knife is designed to work in tough conditions, (both wet and dry) it makes sense for the knife to be designed in this way. 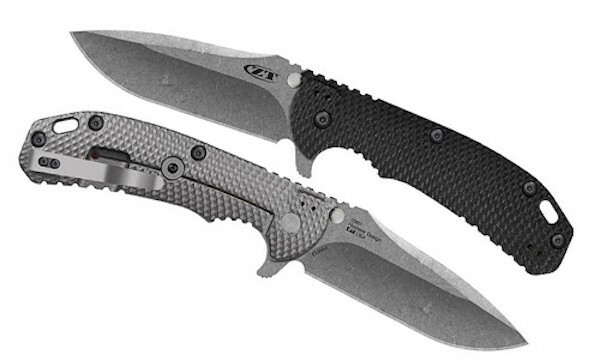 The ZT0560 flipper knife features a brand new pocket clip design. Considering the size of the knife the need for clip and its application is definitely a priority. Again, I am pleased to report that the clip is a strong, functional and reliable, with a deep carry design that can be mounted on all 4 corners. In short, it serves its purpose well, while at the same time complementing the overall aesthetic value of the 0560. In our opinion, the Zero Tolerance ZT0560 Hinderer Design is still one of the best full production flipper knife available. ZT have not rested on the laurels with the design of this knife, and with the expert guidance of Rick Hinderer the collaboration has produced a knife that really is top notch. It loses out to our number one Spyderco Southard this year based mostly on the difficulty you now have getting hold of this knife. With the two being so closely matched, the Spyderco pips it for standing the test of time. 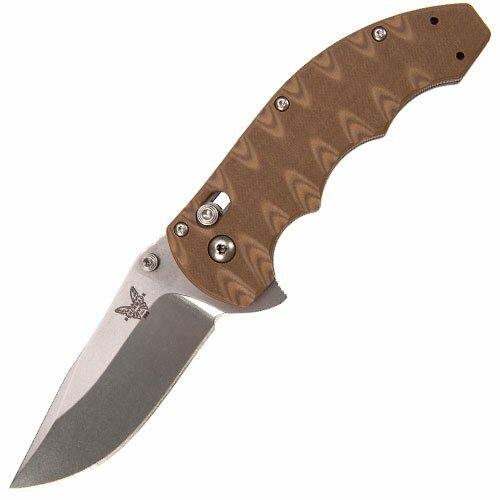 The Benchmade Axis makes our top 5 best flipper knife list in the premium section for a number of reasons. For a start, the robust 3.18″ drop-point blade, perfectly executed in flat-ground 154CM stainless steel is a real treat. Yes it might be a bit girthy for some, (the guys over at Benchmade have opted for blade dimensions that amount to one-eighth inch thick and one and one-eighth inches across), but we loved the fact this knife has some real width to it. The girth opens up a wide range of uses for the Axis, and you need worry not that your blade is going to snap in the process. The robustness of the blade continues throughout the entire knife. The Axis flipper is made from two sturdy stainless liners, scalloped/textured G10 grips and stainless spacers. The construction is then held firmly together using Torx fasteners. The Axis Flipper is a versatile beast that offers the user multiple ways to open the blade, no matter whether you are either right or left handed. Choose to use the jimped flipper tab or alternatively you can use the double-sided opening studs – the choice is entirely yours and down to your preference. The Axis lock bar (more explanation of this can be seen in the lockup section below) also features double-sided unlocking studs. When it comes to ease of deployment and choice of doing so, the Axis really is hard to beat. 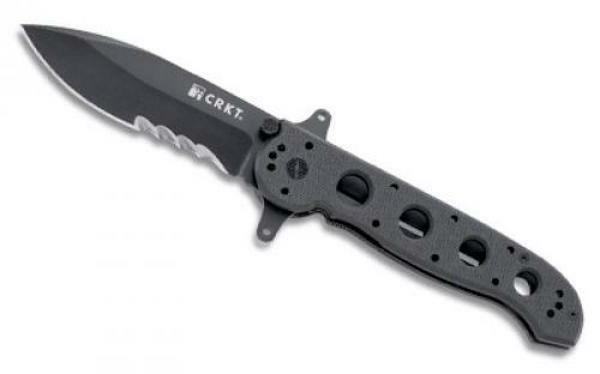 The knife actually gets its name from Benchmade’s own ‘Axis’ locking system. This involves a spring-loaded stainless steel locking bar that rides forward in its tracks when the knife is open. This mechanism engages a cam on the blade’s tang holding everything in place. This mechanism serves two purposes and is very efficient in overall design. When the knife is the locked in its forward position it prevents any blade movement, (the Axis locks fast with satisfying strength and no play); when the knife is folded the construction serves as the blade detent. In short, a very well thought out locking system. As you would expect from a knife of this quality, the Axis Flipper is both comfortable in the hand with a reassuring solidness that makes it very satisfying to use. The large G10 scales are textured and scalloped giving the handle an extra sure grip for reliability in even the toughest types of work. It is not overly abrasive easier, which can be a problem with EDC knives at times. As we mentioned in the review of the Spyderco Southard, the carry clip can very often be overlooked in EDC knife ergonomics, letting the overall design down. However, in the case of the Axis Flipper, the clip actually adds to the knife’s grip comfort. It does this by utilising a shaped curve that matches the knuckle of your middle finger – an extremely nice touch that we would like to see on other knives of this level. The deep pocket clip is reversible for tip-up carry on either side and functions just as you need. Most importantly of all, the knife stays secure in your pocket, but is ready for easy withdrawal as and when you need it. Overall the Benchmade 300 Axis Flipper is a fantastic EDC flipper knife. It has the comfort, strength and cutting performance that most of its competitors could only hope to achieve and all at a very reasonable price. If your budget cannot quite reach to the likes of the Hinderer or Southard, this could very well be the best flipper knife for you. The Columbia River flipper knife gets out top pick for less than 100 bucks because it punches well above its weight for performance and build quality. 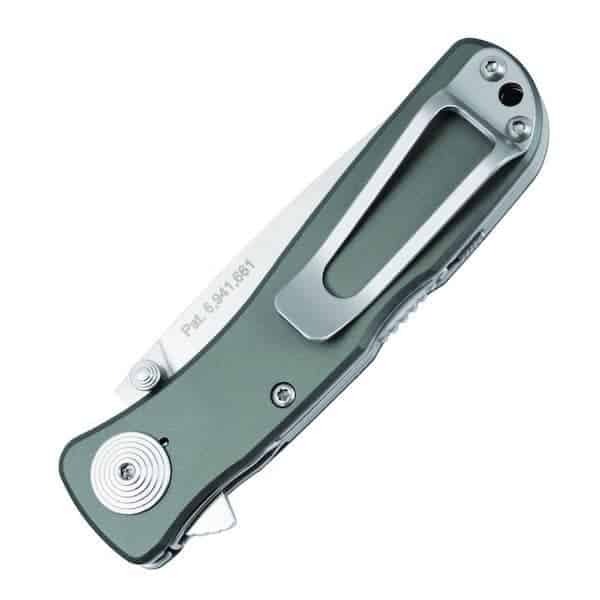 The aluminium frame is based on a Kit Carson’s custom design, (and obviously incorporates the Carson flipper mechanism) with contoured handles of black and hard anodized 6061 T6 aluminium. The result is an extremely strong knife under production level manufacturing processes. The designers have opted a AUS 8 stainless steel blade, with a combined razor-sharp and triple-point serrated edge. A nice touch on the Columbia River Knife is the blade, frame and hardware are all finished in a non-reflective Tactical black. The lockup features stainless steel locking liners with friction grooves, all in all a reliable system that does not suffer from any play. The deployment is very satisfying considering the cost of this flipper knife. 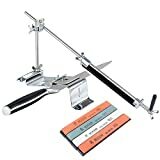 One-hand opening and closing is fast, smooth and safe to operate. The patented AutoLawks system is what increases the safety aspect of the knife. As the folder blade is locked in place, the spring-loaded AutoLAWKS lever rotates forward. This results in the metal tang coming between the locking liner and frame, essentially turning the knife onto a virtual fixed blade. This ensures that the locking liner is less likely to disengage during use. The all important pocket clip compliments the design of the knife well, and allows a four-position carry on belts or webbing. Overall, the Columbia River Knife and Tool’s M21-14SF Special Forces Spear Point is a fantastic flipper knife for the money. 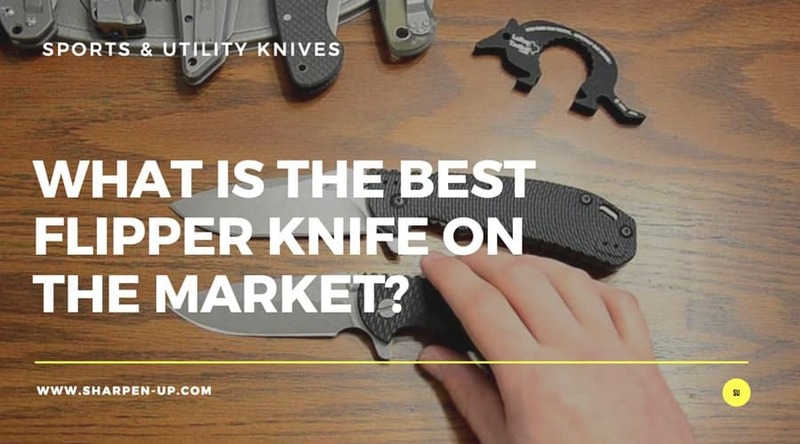 Well built with superior performance, this is an ideal option for those that need a reliable, smooth action flipper, but do not have the funds to purchase one of the premium options in our top 5 list. Excellent value for money. The SOG Specialty Knives & Tools TWI8-CP Twitch II, makes our top 5 list because, like the Columbia, it balances great performance with value for money. While at the time of writing it does cost less than our top pick budget buy, the fact its it doesn’t quite reach the lofty standards of the Columbia either. That being said, it is still definitely worth your consideration should your pockets not run deep. First off, the blade. The 2.65-inch straight edge, folding blade has a drop point shape and is made from AUS-8 steel. Strong enough for a wide range of tasks, the attractive satin finish is actually rather pleasing on the eye. This material is also easy enough to sharpen, ensuring extended longevity of the tool. SOG have used their Assisted Technology in the construction of the knife, which provides the user with one hand blade opening. The system works by utilising a pass-through lockbar, where the “kick” of the blade sticks through. The user simply initiates the one hand opening of the blade by pressing the Kick bar. The SOG assisted technology then comes into play. High-tension coil springs housed within the body of the flipper, finish the deployment. Those same mechanics, help securely lock the open blade in place. The contoured and well-balanced handle feels very comfortable in the hand and features a graphite finish which is very nice to look at. It is well made too. Crafted from hard-anodized 6061-T6 aluminum, the textured handle provides great grip and feels well balanced as you work. Measuring in at 2.6 ounces the knife is also lightweight and easy to carry. 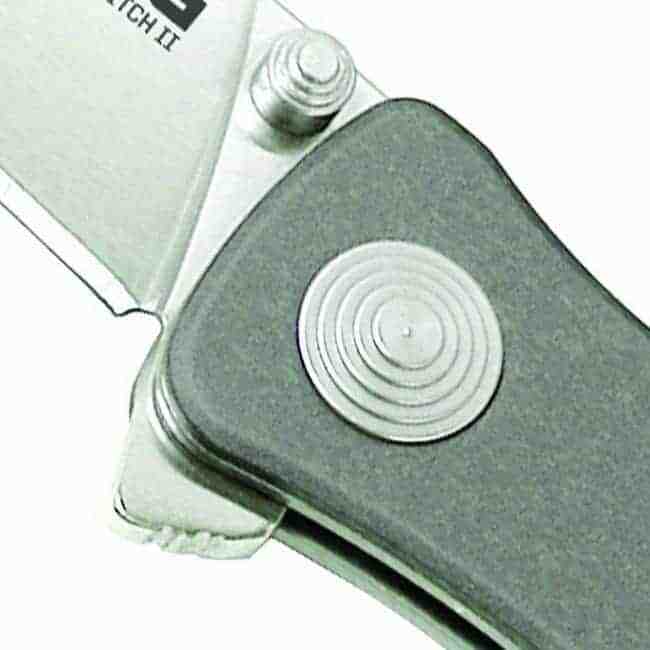 A fixed pocket clip is located on the back of the handle and does the job of securing the knife for carry reasonably well. Another great touch is that the manufacturers provide a limited lifetime warranty that protects against defects in manufacturing and materials. Another very good flipper knife for the money. Cheaper than the Columbia but not so successful in its finish, this is still worth your consideration if you are in the market for an affordable flipper knife for 2018. 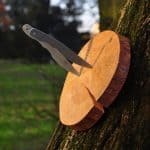 While the flipper knife is a very handy knife to carry on your person, there are other smaller alternatives should you require. A small fixed blade neck knife makes a good option if you do not mind the diminutive blade. Want something larger and you could opt for a fixed blade or flipper boot knife. As the name suggests, this is either worn within a boot harness or strap around the ankle. In many ways the history of the flipper knife in the U.S (from a legal perspective), begins with the advent of the Federal Switchblade Knife Act of 1958. The public reaction to images of 50’s-era gang war in the cinema, as well as that new fangled invention called ‘The Teenager’ (with their natural predisposition for delinquency) encouraged politicians in passing new laws banning switchblades and other fast opening knives. From the implementation of the Act, the public’s access to knives that could be deployed fast and with one hand, (a feature that had proven very popular in many work knives) was now severely limited. The only legal type of opening knives were slow, nail knick knives. 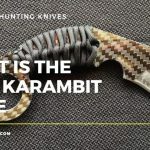 However, knife manufacturers struck back in all manner of ingenious ways to circumvent the law and to provide the market with the type of fast opening knife they were after. This creativity first saw the thumb stud and thumb disk come into play. Utilising mechanisms that could open up the blade with one-handed deployment, they proved popular but were neither particularly fast or attractive. A big step in the history of the flipper knife came about when Sal Glesser, the founder of Spyderco, incorporated the famous thumb-hole into a range of the company’s knives. This ingenious yet relatively simple development took one handed deployment to a whole new level, while still remaining on the right side of the law. So successful was the innovation, many Spyderco knives feature the thumb-hole opener today. 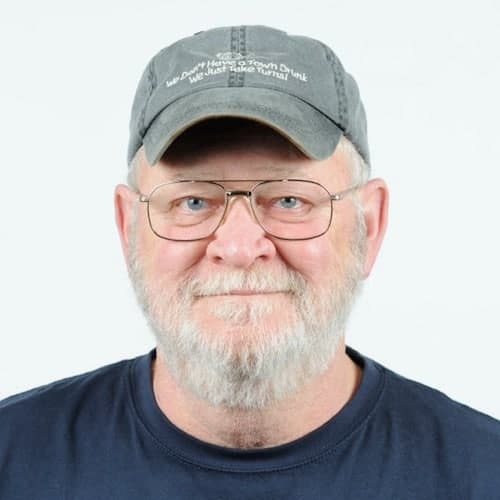 Further innovation entered the market via Ernie Emerson, of Emerson Knives. Emerson successfully worked around the slow deployment problem that earlier designs suffered from, by creating the ‘wave feature‘. Waved knives can open just as fast as a switchblade, (while still being legal) meaning they quickly became exceptionally popular for those requiring speedy and efficient one handed deployment while on the job. The last in a line of classic innovations came from famed custom maker Kit Carson. It was he that brought the new method of opening a knife: the flipper – into the world. Flipper deployment took one-handed deployment to a whole new level in terms of ease, and was able to rival the Spyderco hole and the Emerson wave in efficiency and popularity. In fact, it would be true to say that flippers make autos and assists unnecessary for most users. 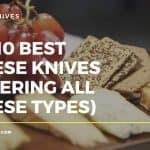 As you will have seen from our best flipper knife review roundup, these knives come in a variety different shapes and aesthetic style. However, do not let that fool you – the basic mechanics of each of our listed selection, as well as the myriad of flippers available remains very much the same. They work by utilising a section of blade that is shaped into a shark-fin like protrusion. This then extends through the spine of the knife when closed, (see what we mean when we say simplicity of approach). Because the flipper’s requires an open-back construction, the design could not work without a liner or frame lock in place, (innovations that can be attributed to Michael Walker and Chris Reeve respectively). The operator of flipper knife merely has to push down or pull back on the flipper in order to put pressure onto the detent. When enough pressure is applied, the blade conveniently snaps into the open position. When looking for the best flipper knife to buy, you need to ensure that the build quality is of such that the indent is precision made. If the knife requires wrist or arm action to open, you know it’s not up to the job in hand. Finger pressure on the sweet spot, is all that should be required.